Using GIS for Cave and Karst Conservation. Support groups involved with using GIS for the conservation of caves and karst areas. Assist in providing resources to further cave and karst conservation efforts. To help foster cooperation among cave and karst conservation GIS users. 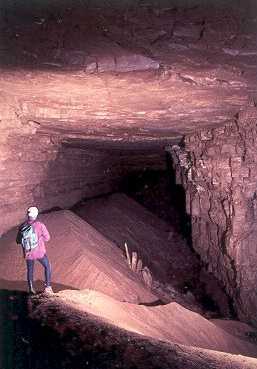 To encourage and facilitate the exchange of resources, support, techniques, and other information pertaining to the use of GIS for cave and karst conservation. To help provide data conversion services and volunteer programming services and training where needed. To represent the GIS needs of the cave conservation community to other donors, including suppliers of hardware, software and imagery, and foundations and aid organizations. To assist cave conservation groups in securing donations for GIS programs. To help provide specialist advice to foundations and aid organizations in the potential for GIS and its appropriate application and management for cave and karst conservation.